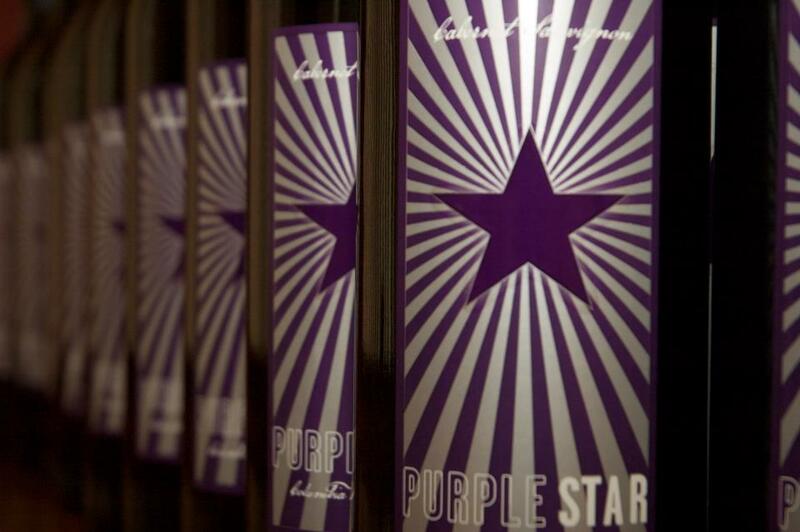 The Stars are Aligned and Good Things are Coming Together at Purple Star Wines. A recently opened tasting room in Benton City is the first tasting room on the east side for Amy and Kyle Johnson. While Purple Star already has a hand in a co-op tasting room in Vancouver (WA), the new tasting room is attached to the winery’s production area. The spot is relaxed. Bring the kids and dogs, says Amy. Stop by Purple Star Wines’ display at the Seattle Food and Wine Experience to sample some of the best offerings from this winery. Amy and Kyle will be pouring 2010 Native Sun Cabernet Sauvignon; 2012 Purple Star Cabernet Sauvignon; 2012 Purple Star Syrah; 2009 Purple Star Silver Label Syrah; 2013 Purple Star Sauvignon Blanc; and 2013 Purple Star Riesling. In 2008 the Johnson’s initial wish upon a star dream was to bring together family and friends together over great Washington wine. Kyle crafts Purple Star, offering exceptional value from some of the best vineyards in Red Mountain, Wahluke Slope and Yakima Valley. These wines are accessible, approachable and affordable. Additionally he styles Native Sun, using fruit from sustainable growers, ferments with native yeast and bottles the beauties unfined and unfiltered. This boutique winery also donates 15% of its proceeds to Seattle Children’s Hospital Uncompensated Care program. That program that ensures that children in our region receive the best medical care available regardless of insurance coverage.